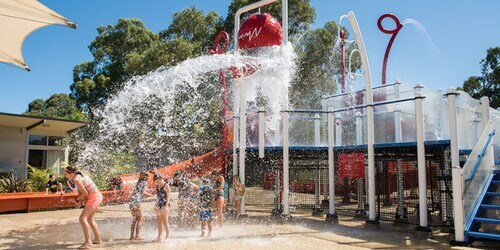 This family-friendly Bedford Park cabin is within 2 mi (3 km) of Westfield Marion Shopping Centre and Flinders University. Brighton Beach is 2.8 mi (4.5 km) away. Adelaide Tonsley Station is 7 minutes by foot and Adelaide Clovelly Station is 18 minutes. Situated 12 kilometres to the south of the city centre of Adelaide, South Australia's capital, you can check out the district of Bedford Park. Planning to travel to Adelaide? 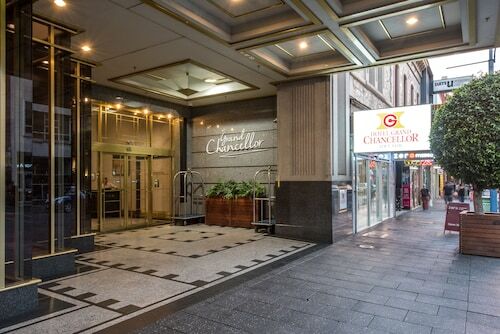 You'll love its many attractions, like the Victoria Square, Government House and Rundle Mall. Flinders University is one of the region's key educational institutions and is really worth checking out. The Tonsley Hotel and Marion Hotel are ideal if you want to kick your feet up close by. Swimming at SA Aquatic and Leisure Centre isn't only a way to stay active, it can also be a whole lot of fun. The Norfolk Motor Inn and Esplanade Hotel are your leading choices for this spot. After a rejuvenating sleep, step out into the fresh air and follow the aroma of roasting coffee beans to Oporto - Marion Westfield Food Court. This beloved Bedford Park cafe offers all the moreish pastries, sweets and hot drinks you could ask for. After you've crossed everything off your list for the afternoon and your thoughts start drifting to dinner, why not reserve a table at Tonsley Hotel? This local eatery dishes up a range of hearty dishes that'll be sure to go down a treat. Can't secure that perfect Bedford Park room? It's worth considering the accommodations in the Blackwood hotels guide and the Wotif Kingston Park hotels guide. Are you ready to make your Bedford Park dreams a reality? Wotif has your back, from car hire and activities to flights and accommodations. How Much is a Hotel Room in Bedford Park? Hotels in Bedford Park start at AU$103 per night. Prices and availability subject to change. Additional terms may apply.